This work presents a systematic and comprehensive overview to the theory and applications of mechatronic processes, emphasizing the adaptation and incorporation of this important tool in fulfilling desired performance and quality requirements. 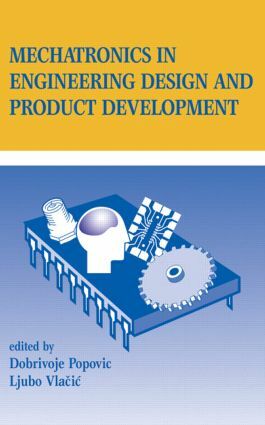 The authors address the core technologies needed for the design and development of the mechatronic product, cover design approaches, discuss related mechatronic product design aspects, and detail mechatronic product application examples. System technology: sensors and actuators in mechatronics; microsensors and microactuators; microcomputer technology; intelligent controllers; communication systems. Design approaches: conceptual design; computer-aided design of automotive control systems using MATLAB, Simulink and Stateflow; rapid protoyping of mechanical and electronic subsystems of mechatronic products. Design-related issues: system integration; optimality of system performance; system software. Application-related issues: mechatronic system applications; an operator's model for control and optimization of mechatronic processes; ethics in product design.